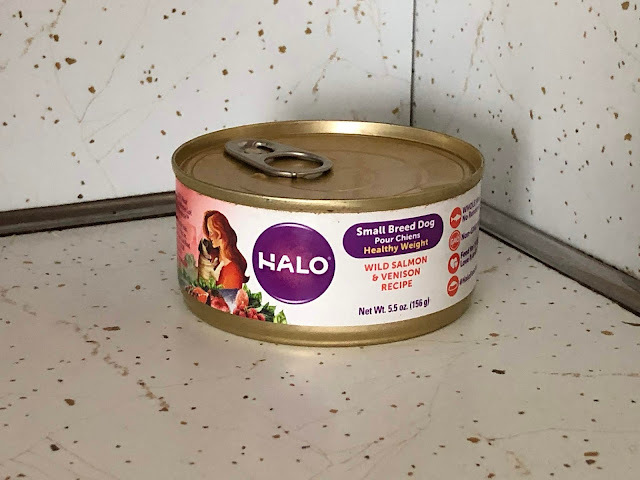 Halo has always been a pet food brand that has stuck out to me; not only because they're made in the USA, but also because they use safe ingredients and offer a wide variety of wet and dry foods for both cats and dogs, as well as treats and supplements. 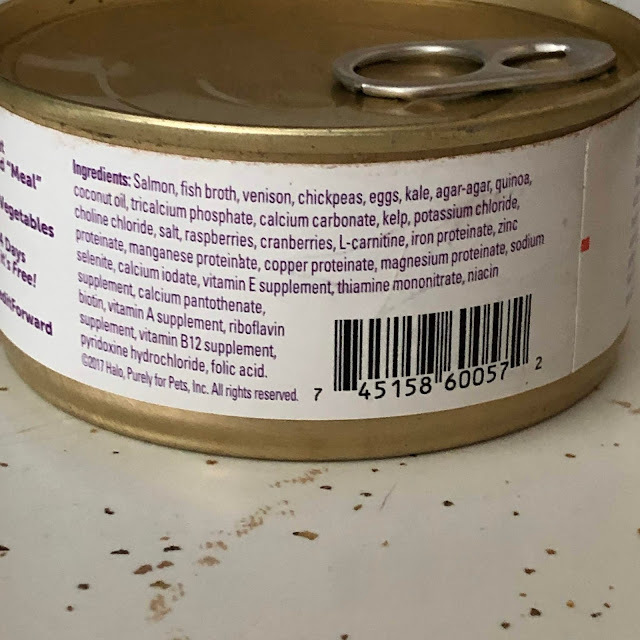 We opted to try the Wild Salmon and Venison variety because it's balance of protein and other nutrients make it easy make sure our small girls' diet is just as it should be, and also help balance her weight. 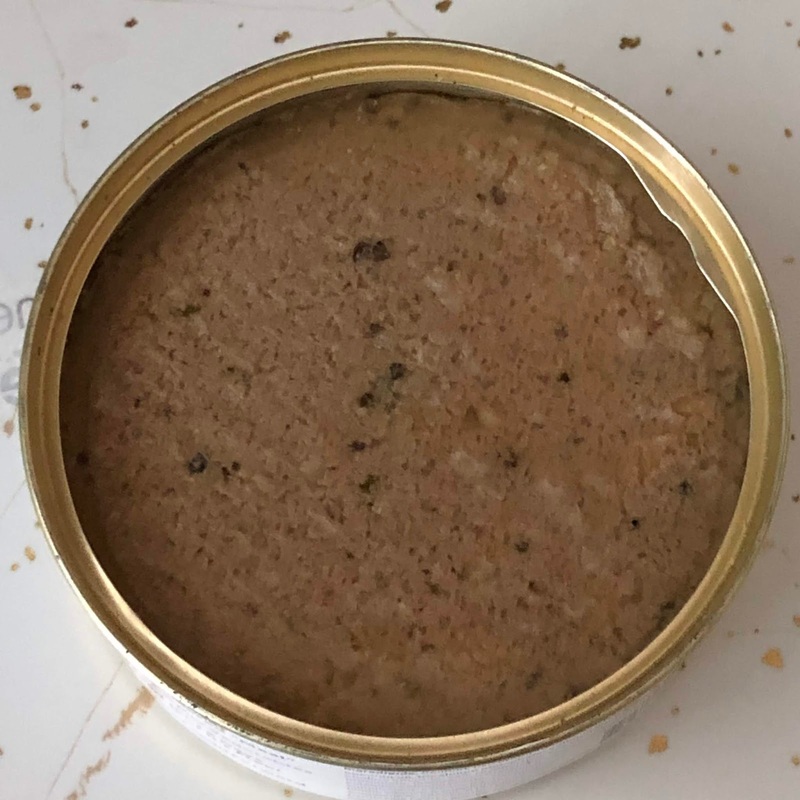 Venus wasn't sure about the fishy smell of this food, but she did end up eating it up once she gave it a chance! 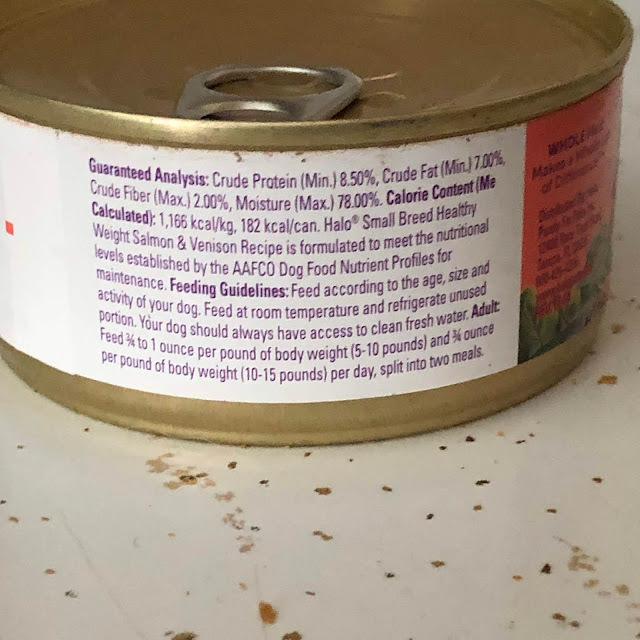 Currently a 12 count case of these 5.5 ounce cans is on sale for $22.75. Head over to Chewy.com to check it out!